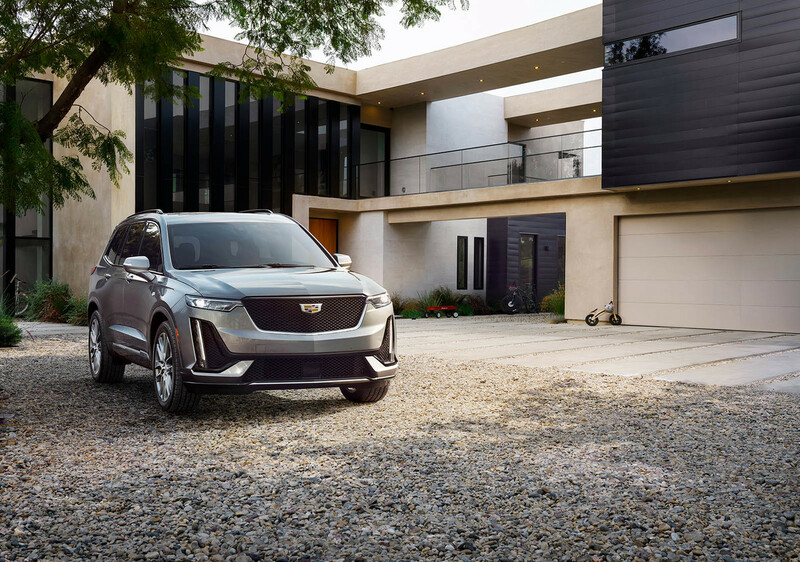 The Cadillac XT6 is the new SUV of the brand and covers the gap that had so far between the compact SUV XT4 and XT5 (compact, according to the US market) and the imposing Cadillac Escalade. It is also the second model of the current range of Cadillac in proposing a configuration of seven seats. And so far, the only model of seven seats was the Cadillac Escalade . The Cadillac XT6 comes with a simplified range. A single engine, a V6 of 3.6 liters and 310 HP , associated with an automatic change of 9 relations for two finishes, Premium Luxury and Sport. As is usual in many brands, these two finishes are not sold as one access and another as top of range, but as two finishes of the same level but intended for a different audience. The Premium Luxury lives up to its bombastic name with a chrome grille and chrome-plated frames, red rear lights and specific 20-inch alloy wheels on the outside. On board, the dashboard is covered in wood. The Sport finish , on the other hand, is the opposite of Premium Luxury. The chrome gives way to the black color, the darkened tail lights and the wood leaves room for the carbon fiber in the passenger compartment. The 20-inch wheels are design specific to the finish and are available in 21 inches in diameter as an option. Cadillac ensures that the XT6 Sport has a differentiated tuning with, for example, continuous adaptive dampers and integral traction. (This is optional in the Premium Luxury). The dashboard maintains a classic but elegant design, with a multimedia screen integrated to the design of the board and more buttons and physical controls than in most new vehicles where touch screens abound for everything. The safety and technology equipment includes automatic emergency braking, blind spot warning and lane change assistant. In option you can equip the parking assistant with automatic braking, a head up display and a rear view camera. However, the active cruise control SuperCruise, a system up to Tesla’s AutoPilot, will not be available in the XT6.